Now there's a natural alternative to pharmaceutical grade products for individuals that have had bad reactions and/or find that the strength of pharmaceutical grade stimulants is too much. Our customizable focus iQ system is designed for optimal neurological health support. This supplement contains crucial neuro-nutrients such as Ginkgo Biloba, which can improve blood flow to the brain for a boost in memory and cognitive speed. Focus iQ also contains Ginseng, which has been shown to aid cognitive function and improve working memory. 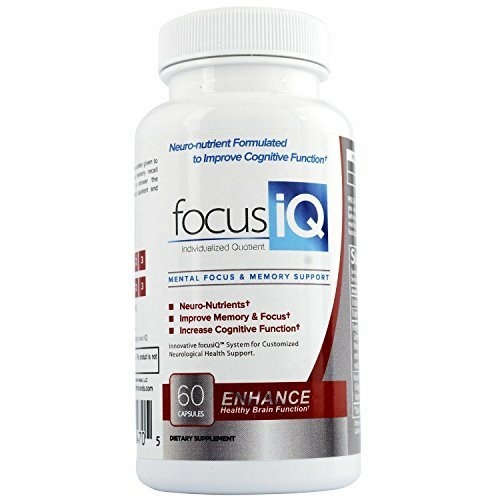 Designed to help individuals who suffer from a variety of conditions, focus iQ is a great way to support your neurological health. If you have any questions about this product by High T, contact us by completing and submitting the form below. If you are looking for a specif part number, please include it with your message. Lumonol Brain Oil (60ct): Provides Vital Support for The Functioning of Brain Cells. Pharma-Grade DHA/Epa Omega-3 Fish Oil Rejuvenating Brain Cells, Enhances Memory, Energy, Behavior.